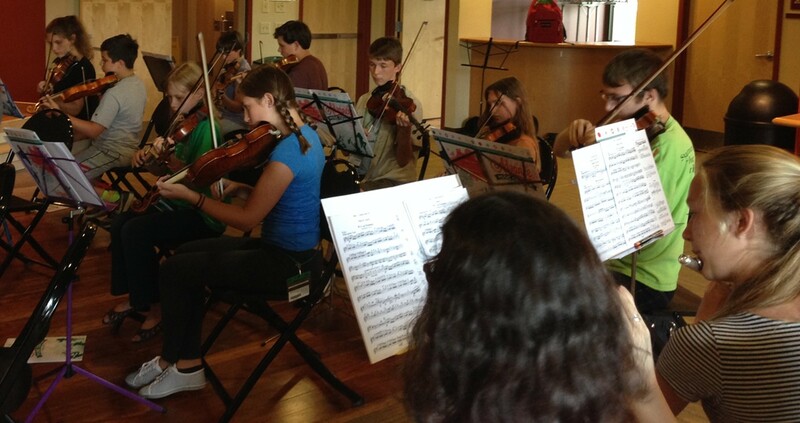 GMYS offers a 7-day, intensive residential musical experience for intermediate and advanced student musicians. This year GMYS C.A.M.P. will meet August 5-11, 2018 at Northern Vermont University-Johnson. Participants work with professional music coaches in chamber groups, private lessons, eurhythmics classes and orchestra rehearsals. There is also plenty of time to make friends with your fellow musicians! We welcome all intermediate-advanced students of any orchestral instrument to join us for this fun musical week! Placement is by audition. Financial assistance is available. Register by March 10th for early-bird discount! Applications accepted until May 15th. Come play with us!